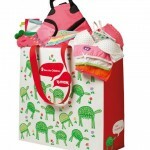 Many states are offering Back to School Tax FREE Shopping holidays in 2012. Here is a full list of praticipating states. Follow the links for each state for more information. Most states offer $100.00 in tax free clothing, $100.00 in tax free school supplies & $1,500.00 in tax free technology (computers and such) but be sure to check your specific state for information. Some states offer better deals than others! Back to School Shopping Tax FREE Holidays 2014! 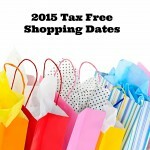 2015 Tax Free Shopping Dates! TEXAS shoppers: Make the most of your TAX FREE days online! Hi! Oklahoma has actually set the dates for August 3-5, 2012!